From the rich earth Morningstar Minerals brings you a blend of Fulvic & Humic minerals of an all natural, dietary supplement. 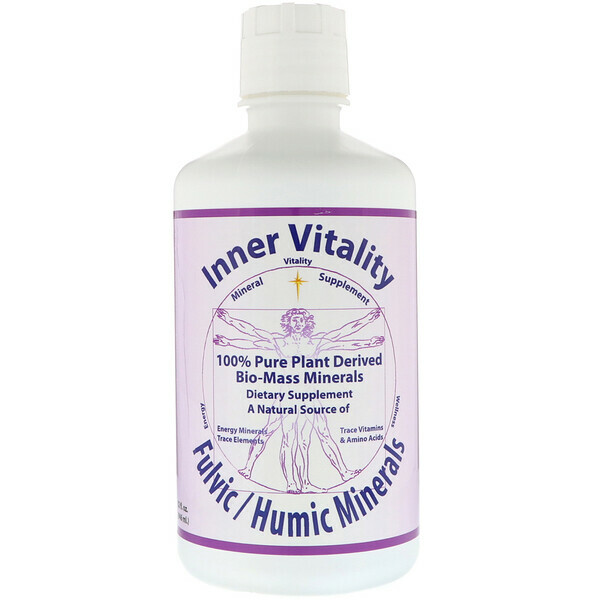 The plant derived, Bio-Available Liquid Minerals ensure superior absorption into the bloodstream. Derived from ancient plant matter rich in minerals, vitamins, trace elements & amino acids in a pH balanced state. 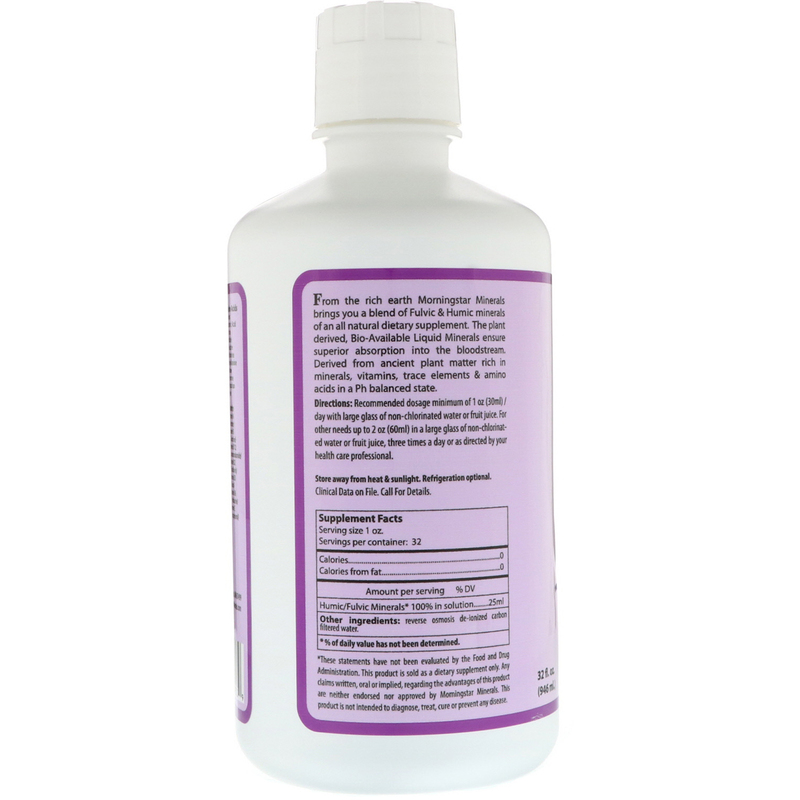 Directions: Recommended dosage minimum of 1 oz (30 ml) / day with large glass of non-chlorinated water or fruit juice. For other needs up to 2 oz (60 ml) in a large glass of non-chlorinated water or fruit juice, three times a day or as directed by your health care professional.